If you notice tooth sensitivity that last for 15 seconds or less, then you don’t have to worry as much. Brief sensitivity is more likely a sign of minor tooth decay, a loose filling, or minor gum recession. You may also need to improve your at-home oral care to prevent future sensitivity from occurring. You may also want to confirm that you don’t grind your teeth while you sleep. This can easily wear down enamel and increase sensitivity. If you notice sensitivity linger for longer than 30 seconds, that’s a sign of more significant damage to your enamel. This damage is permanent and likely caused by severe decay, a fracture, or serious infection inside your tooth. In this case, the next step should be to schedule an appointment with your dentist in Keller. When you arrive, they’ll examine your tooth and determine if a root canal or deep filling is needed to reduce sensitivity and further damage of the tooth. What is the Best Treatment for Bad Sensitivity? 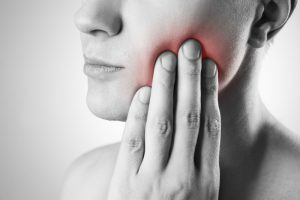 Root canal therapy in Keller is considered the most effective solution for tooth sensitivity because it involves removing dead nerve tissue, decayed tooth, and bacteria from the inner area of your tooth. Luckily, root canals are quick and relatively painless thanks to the local anesthetic your dentist provides. Essentially, the dentist will drill a hole through your tooth to access the damaged nerve tissue, clean and disinfect the canal, then reseal the area with a rubber-like dental material known as gutta percha. After the area is resealed, you’ll feel significant pain relief and walk out with a restored smile. After treatment, pay close attention to how your teeth reacts to hot or cold beverages and foods in the future. If you notice significant sensitivity, even after having a root canal, schedule an appointment with your dentist in Keller as soon as you’re able. The last thing you need is future damage caused by the foods you eat. Dr. Shweta Sinha earned her bachelor’s in Dental Surgery in India before earning her Doctor of Dental Surgery degree from the Herman Ostrow School of Dentistry in Southern California. To learn more about root canal therapy or about her practice, contact her at (817) 431-6400 or visit her website.